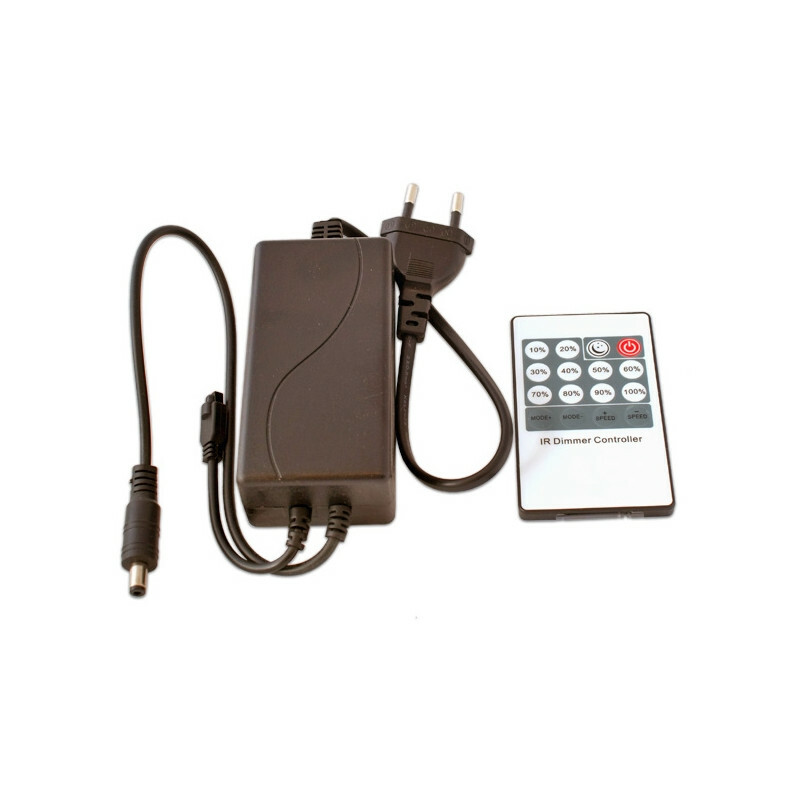 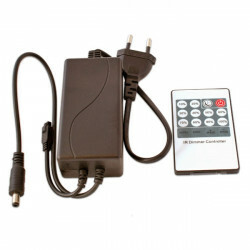 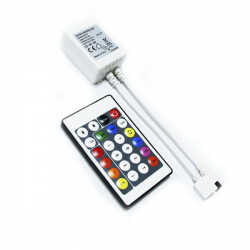 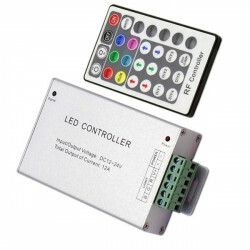 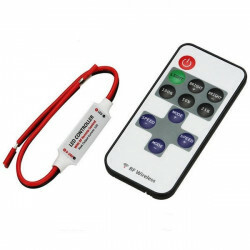 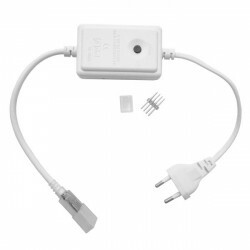 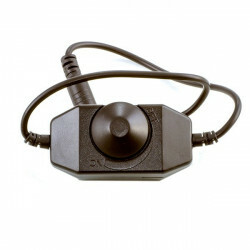 Controller with integrated transformer and remote control (infra-red), for indoor use. 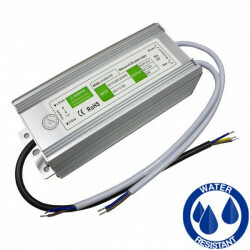 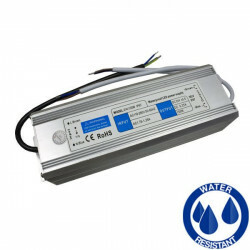 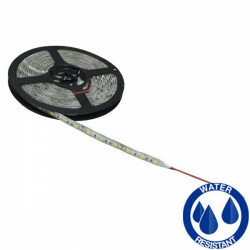 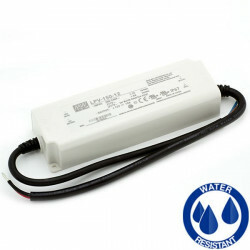 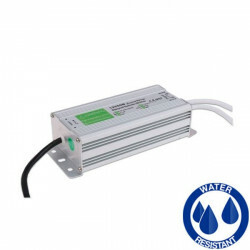 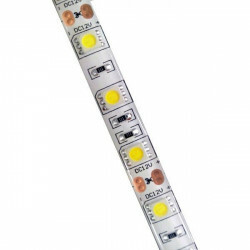 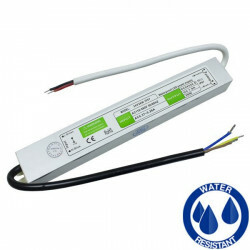 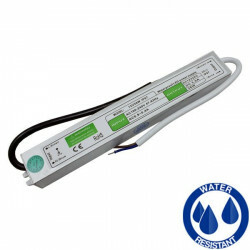 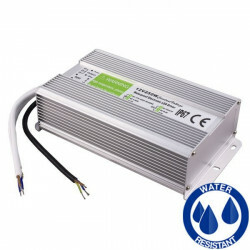 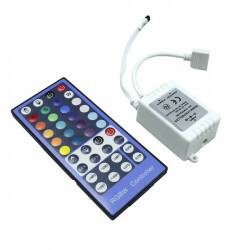 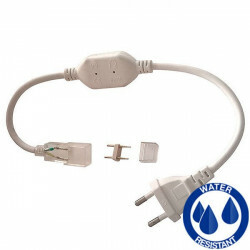 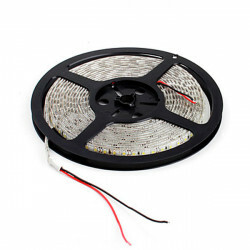 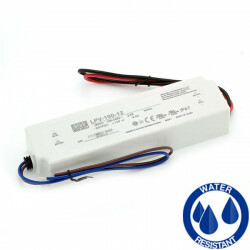 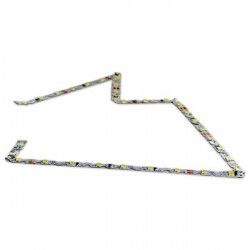 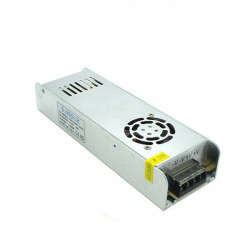 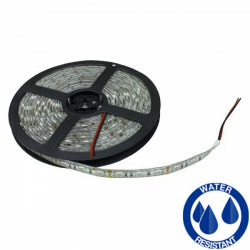 It supports up to 5 metres of an 12V single colour strip. 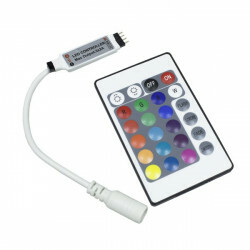 It allows you to adjust its intensity, mode and speed. 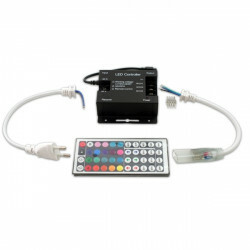 No additional transformer is required with this controller, simplifying the assembling process and saving space and materials. 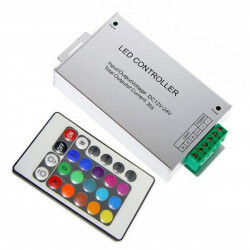 Buen producto. 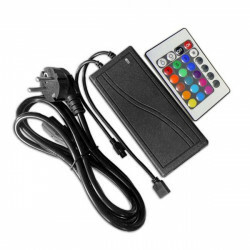 Poco alcance del mando a distancia.